Jerrod and I met in middle school, when we were 12 and 13-years-old. We did not attend the same school, but because we lived in such a small town, we would run into each other through local events in Plant City and through us being actively involved in the youth organization FFA. As time passed the middle school crush grew stronger, and we finally started going out on June 11, 2004, at the FFA State Convention. I can truly say that we have experienced life together. From the awkward middle school stage, to our one day break up in 10th grade, to God redirecting our career paths and following his will for our lives, Jerrod and I knew that we were going to get married one day. Summer and Jarrod planned an outdoor, southern chic wedding, complete with chandeliers in the oak trees, a burlap aisle runner and vintage car. The couple wanted to stay close to their hometown of Plant City and chose Dade City wedding venue Lange Farm. 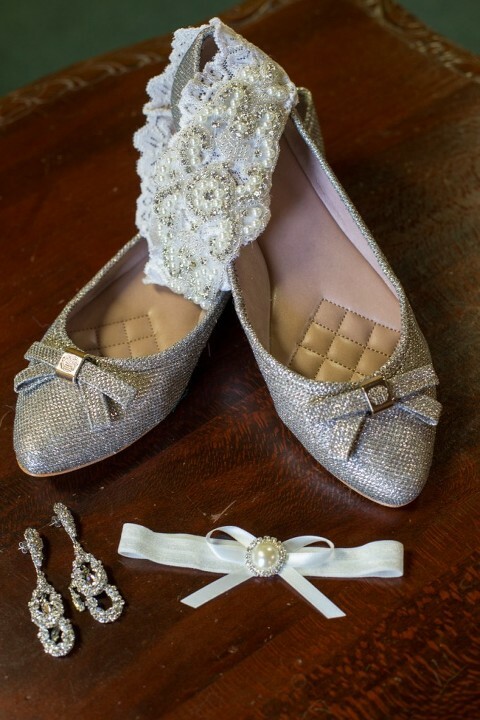 To complement, rather than overpower her wedding venue’s country setting, the bride chose gold, ivory and a pink for her wedding. “I wanted our wedding to be timeless, with colors that were simplistic and southern,” Summer said. Family played an important part in the couple’s big day, with the bride’s grandfather creating the ceremony arch, her grandmother and great aunt sewing the archway curtains and her aunt and uncle making wooden signs for Summer’s wedding day. “We all worked together to make my wedding day dream come true. It felt good to know that we were the ones to put the sweat and some tears in it once we saw the final picture,” the bride beamed. 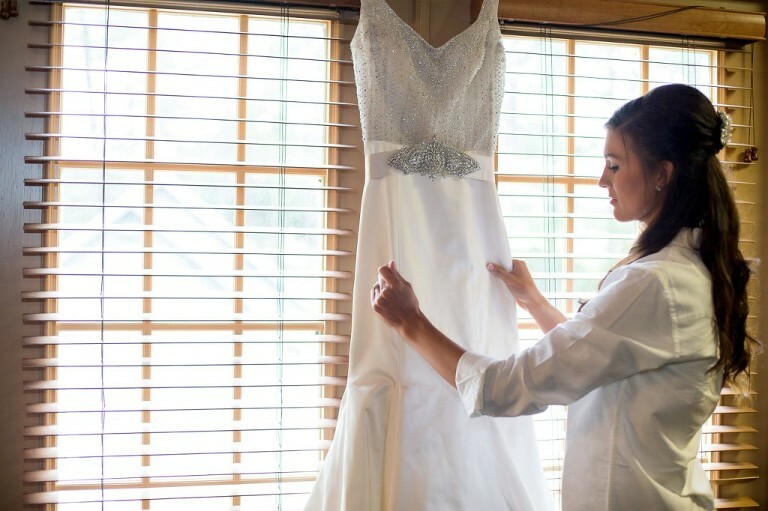 To capture her big day, Summer hired Dade City wedding photographer Jeff Mason Photography. 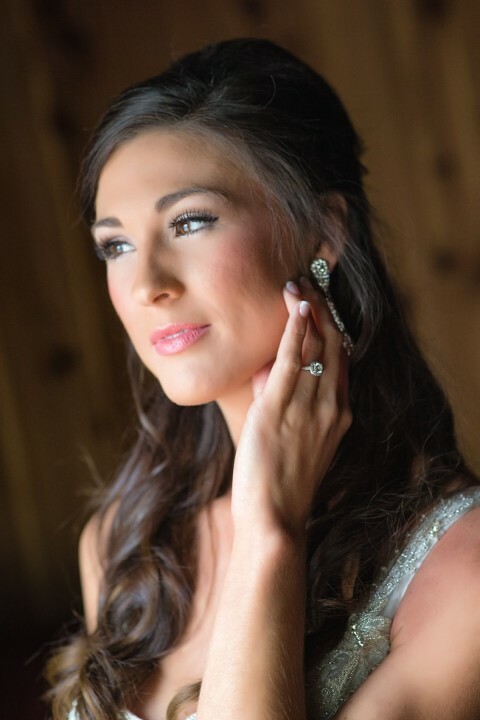 Looking back, Summer’s most memorable came as she walked down the aisle to her future husband. It was raining the morning of my wedding, and I did not care one bit. I knew that it wasn’t all the time and money that we had invested in the wedding, but it was about a marriage. If we had to move everything inside, I would still be marrying the man my heart longs for and nothing could change that. Remember that a wedding is just one absolutely amazing day, but if things goes wrong, don’t fret and don’t let it take any joy from you. Life and circumstances are uncertain, but a marriage covenant is one thing you can always rely on if you mean what you promised. Look to that certainty rather than one perfect wedding.